What started six years ago in New York City as a day to promote charitable giving has grown into a global movement harnessing the positive power of the Web. Just as online sales during the holiday shopping season continue to grow, Giving Tuesday reported an estimated $274 million raised online for charitable organizations during its 2017 campaign, up from the estimated $180 million in 2016. Part of the campaign’s booming success is its ability to get social. Giving Tuesday used the social media monitoring company Brandwatch to track the hashtag #GivingTuesday across Twitter and Instagram, noting over one million social interactions and 21.7 billion impressions in 2017. Large institutions like Illinois State University in Normal use the campaign’s large social media presence to achieve maximum fundraising potential. “Google Analytics tells us the potential reach of a message on (Giving Tuesday) is over one million people,” said Lora Wey, Executive Director of Annual Giving at ISU. The university ran its first Giving Tuesday campaign in 2014. Wey explained that while giving back to private universities has been standard practice for some time, reduced funding for Illinois public universities means the institutions increasingly rely on private giving. 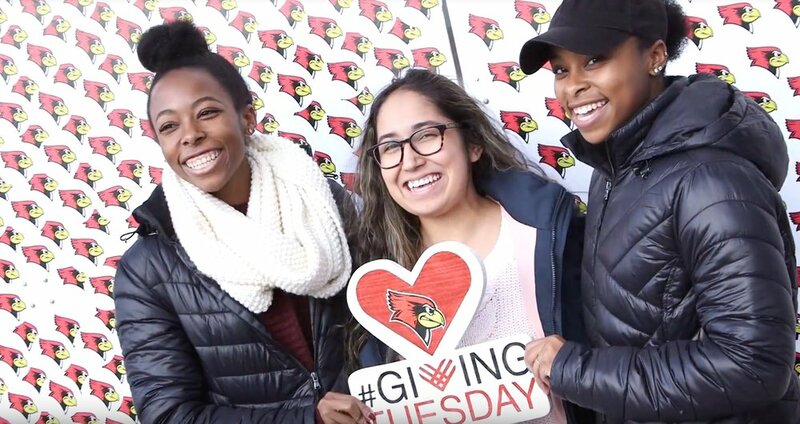 For three of the four years ISU has run a Giving Tuesday campaign, including 2017, the University raised over half a million dollars, Wey said. Final numbers at the University’s campaign website report $530,018 raised across 1,497 gifts during the 48-hour campaign. Scholarships seemed to resonate most with donors this year. Over $72,000 went to Scholarship Rising, an initiative under the university’s capital campaign, Redbirds Rising, to raise unrestricted dollars for student scholarships. “So many students depend on scholarships in order to make college affordable, so that’s one of the areas of greatest need on our campus right now,” said Wey. Although leaders of smaller nonprofits would love to see this level of fundraising for their organizations, the reality is many simply don’t have the resources to run a large campaign. “It’s like any fundraising event; the more you put into it, you should have a bigger return,” said Angie McLaughlin, executive director of the Community Health Care Clinic in Normal. McLaughlin said the clinic, which provides free medical care to over 1,000 adult patients in McLean County each year, partnered with Giving Tuesday in order to reach a previously untapped pool of supporters. This was the first year the clinic partnered with Giving Tuesday, so McLaughlin wasn’t sure what to expect. She set the campaign’s goal at $1,000. McLaughlin said she kept the campaign’s messaging “short, sweet and to the point,” focusing on the clinic’s return on investments. For every dollar invested in the clinic, patients receive fifteen dollars in health care services. By the end of the campaign, the clinic had received over $1,800 in donations. “Of those gifts, I would say half were new people who had not donated to the clinic before,” said McLaughlin. For McLaughlin, Facebook made it easy to run and launch the clinic’s Giving Tuesday campaign. “It probably took me less than 30 seconds to set up the initial fundraiser, and then it’s just a matter of sharing it.” McLaughlin said she may find a student intern to run next year’s campaign. For smaller nonprofits unfamiliar with social media, she suggested bringing on a student intern may be a good way to launch an inaugural Giving Tuesday campaign. Several other area nonprofits ran Giving Tuesday campaigns, including The Normal Public Library, Home Sweet Home Ministries, IAA Foundation, the Autism Society of McLean County, Project Oz, and Mid Central Community Action Inc. More local nonprofits may partner with Giving Tuesday in the future. 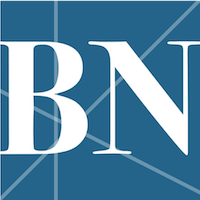 Grants and Communications Director Michele Evans said the Illinois Prairie Community Foundation in Bloomington did not run a formal Giving Tuesday campaign this year, but the idea is under consideration for next year. Sammy Oleson, communications coordinator for the ARC Activity and Recreation Center in Normal, said the center does plan to partner with Giving Tuesday in 2018. Giving Tuesday may come and go in one day, but nonprofits work year-round to meet the community’s needs. For those who still want to contribute, a directory of participating organizations is available at givingtuesday.org/whats-happening-near-me.